Kathryn Stack is the Advisor for Evidence-Based Innovation at the U.S. Office of Management and Budget, helping Federal agencies to strengthen their capacity to use and build evidence to improve their effectiveness. From 2005 to July 2013, she was OMB’s Deputy Associate Director for Education, Income Maintenance, and Labor, overseeing budget, policy, legislation, regulations, and management issues concerning the U.S. Departments of Education and Labor, the Social Security Administration, the Food and Nutrition Service of the U.S. Department of Agriculture, and the Administration on Children and Families within the U.S Department of Health and Human Services. In recent years, she was instrumental in helping Federal agencies design several new grant-making models that allocate funding based on evidence and evaluation quality, and in building consensus across a number of Federal agencies for adoption of common evidence guidelines. Prior to becoming division director, she served as an examiner and as Chief of the Education Branch of OMB, and held several management and budget positions at the U.S. Department of Education. 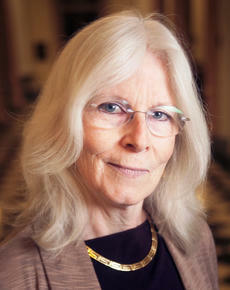 She is a graduate of Cornell University and a fellow of the National Academy of Public Administration.